Steve grew up in the fertile, sweltering farmlands around Yuba City California where weekends were spent working with dad (the do-it-yourselfer) landscaping the house or out in the family prune orchards. Work was hot and hard on the dusty farms in the summertime but discomfort was offset somewhat by having access to all varieties of heavy equiment to operate. Science, math and water skiing were the most interesting subjects in high school. Fully expecting to be drafted, Steve supported himself with local construction and agriculture jobs and enrolled at Yuba Community College. From there he moved on to the California State University, Chico where he studied Astronomy and eventually graduated with a bachelor degree in business in 1977. An agricultural background, a business degree and a winning personality helped Steve land a position with the Roy Disney family setting up management and accounting systems for their personal ranch investments and eventually for their broadcasting company Shamrock Broadcasting. His interest in construction never faded though and in 1984 Steve risked an opportunity to start and run his own building business. As time went on, Steve observed distressing levels of waste, obsolescence and a general lack of durability being designed into the projects. A re-examination of accepted building practices inspired Steve’s development of “hardened”, 100-year durability specifications for constructing wood frame homes. Unsatisfied making one new home at a time last longer, Steve set out to find ways help improve durability of the entire inventory of existing homes. In 1989 Steve began developing a list of critical recurring maintenance tasks to both improve the longevity of the home and its operational efficiency. He released versions of these lists every season to local newspapers. This task list became the core of Home Preservation Services or HPS. The refined HPS service is called Stewardship. Today, HPS delivers quarterly Stewardship services that improve quality of life to hundreds of homeowners in the Silicon Valley area of California. Steve continues to develop and refine his durability task list. Through HPS, Steve learned that malfunctioning rain gutters cause enormous water damage across the US. This led to the development of RainTube, a product that eliminates damage caused by gutter clogging, overflows and snow weight . RainTube was designed using recycled HDPE and was one of the world’s first gold-level, Cradle-to-Cradle Certified products. The resulting company, RainTechnologies started in 2004 was a committed GREEN company developing an array of new sustainable products aimed at rainwater control and collection. Steve is a member of the Peninsula Executive Association as well as sustainable organizations including the USGBC, ARCSA, CASCADIA, NAHB, and is an accredited rainwater harvesting professional. 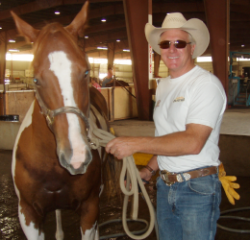 When not working, Steve enjoys listening to vintage jazz recordings, and riding horses in Oregon with his wife Italy, a professional barrel horse trainer and competitor. Steve can be reached at sspratt@homepreservation.com.